So often when we write a memoir, the story develops a life of its own and becomes a part of a larger cause. This is certainly the case for Pamela Koefoed who began advocating for abused children and teaching audiences how to overcome a painful past after publishing her memoir. 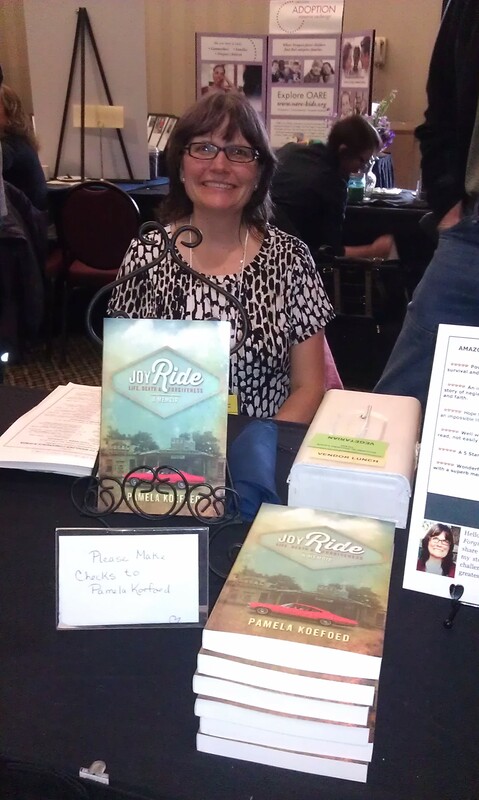 It is my pleasure to introduce you to Pamela whose memoir Joyride: Life, Death and Forgiveness is a riveting story of hope and overcoming child abuse. Pamela will discuss how writing her memoir helped her to defeat fear and find her mission of helping child abuse survivors. My reviews can be found on Amazon, Goodreads, Shelfari and LibraryThings. Pamela Koefoed tells the story from the child’s point of view, recalling in vivid detail the events leading up to four house fires, her narrow escape from them, and the conviction of the arsonist. She depicts the heart touching tale of being left alone for weeks with her eleven year old sister and baby brother, and describes how they managed to deter notice from Child Welfare. Pamela and her sister surprise us all by their spunkiness, indomitable joy, and resiliency. Due to their circumstances, they draw on the love they have for each other and rise above the unthinkable to show us all the way to a richer and more meaningful life. If you enjoyed The Glass Castle by Jeannette Walls, you’ll loveJoyRide: Life, Death and Forgiveness (from Amazon author page). As a child and into young adulthood, I lived in a place of powerlessness known as “the conspiracy of silence” where painful, unexplainable experiences were never mentioned and where we went on with daily life as if we were a mini version of the idyllic family of the popular sitcom that ran in the late sixties and seventies, the Brady Bunch. But there was a problem with this way of being—it wasn’t true. My mother wasn’t the Carol Brady, doting sort of parent. In her childrearing, there was little room for mothering and her general philosophy was more in line with the idea that life is a party, so pass another beer. A lifestyle like my mother’s doesn’t allow space for children. Consequently, my childhood was similar in many ways to the thousands of children who are neglected by parents or guardians each year in the United States. In addition to being a victim to neglect, when I was eight-years-old my mother was arrested and charged as a felon for committing crimes, which put our entire household in grave danger. On four occasions, I fled for my life, twice barely escaping death. To top off all of this craziness, after my mother’s release from a California correctional facility, my nine-year-old sister and I were returned to her care. Sixteen years ago, the conspiracy of silence that had held me powerless lost its grip and I began sharing snippets of my testimony publicly. The first time I stood in front of a group to speak about my past is especially memorable. I stood nervously near a podium before a small congregation of fifty to sixty parishioners at the non-denominational church my husband and I attend. Adrenaline rushed through my system, causing my head to feel detached from my body and constricting my vocal chords. I opened my mouth to speak—my voice trembled and my speech was nothing more than thin, wispy breathes. I thought I would throw up, but somehow I managed to be heard and, obviously, I lived through the ordeal. 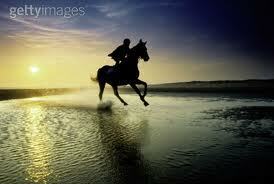 When we’re afraid and follow our convictions anyway, we’re victorious. After my initiation into public speaking, there were many more opportunities to speak to groups; for years, I did so with my very being engulfed in anxiety. Eventually, those negative feelings vanished, but it took great perseverance, some faith, hard work and encouragement from family and friends. In 2009, the executive director of my county’s CASA program, Court Appointed Special Advocates, asked me to run the program, giving me the opportunity to make a difference in the lives of children who have experiences similar in many ways to my own childhood. Initially, the uncertainties and the what if’s hounded me. The stories of maltreated children would confront me. Might I have nightmares? What if I broke into tears in the courtroom while presenting these children’s needs and wishes? How healed am I, really? Am I even qualified? The greatest enemy, as someone once said, isn’t fear. From time-to-time, everyone feels afraid. It’s coming into agreement with fear and believing the nagging doubts instead of embracing the truth—you can do all things through Christ who gives you strength. I accepted the position as the director for my county’s CASA program and embraced a new season. Stepping into this role proved to me that the very things I had feared were nothing more than shadows and that advocating for children is an ideal fit. Right next to death, on the list of things we humans are afraid of, comes public speaking, and I think next to this comes writing a survival memoir, which I’m grateful to have completed last year, and next to this would be hearing the stories of children who have had hellish childhoods. All of this sends shivers up our spines, causes labored breathing, our hands to sweat, our stomachs to churn—yikes! When you’re faced with an opportunity to do good and help others, whether it’s through volunteer work, writing a memoir, or taking a new job, and if fear is hounding you, let me leave you with a little advice from our friend John Wayne, saddle up anyway. The world will be a better place because you cared. Thank you Pamela for sharing your inspirational story of surviving childhood abuse and overcoming fear. You remind us of the power of memoir writing to heal and help us connect with a higher mission. I can’t help but feel your noble work of advocating for children who have been abused is a perfect fit for you! Author Bio and Contact Information: Pamela Koefoed, originally from Sacramento, California is a child abuse survivor and a daughter of an ex-felon. In addition to writing numerous articles for websites and blogs, she has authored two books. 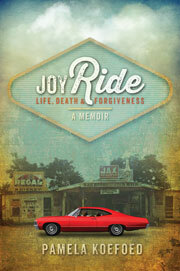 Her latest book is JoyRide: Life, Death and Forgiveness, a Memoir. When not writing, Pamela directs a child advocacy agency program and is a frequent guest speaker on radio shows and at events around the nation. Pamela and her husband have been married for 25 years. They enjoy golden sunsets and coyote serenades from the back deck of their rural home in southern Oregon. JoyRide: Life, Death and Forgiveness is available from the website, http://joyridebook.com, from Amazon, and by requesting it in bookstores. How about you? Has writing your memoir led you to a higher mission? or helped you to overcome a fear? Announcement: Congratulations, Tracy Lee Karner! Your name was selected in a random drawing of commenters to receive Nina Amir’s book, The Author Training Manual. Thanks to your generous contributions I am within reach of a successful campaign! In making a contribution you will help me spread the messages of hope, resilience and courage to those seeking freedom from abuse. I’d love it if you would share this link with others. Thank you for joining me in sharing the hope! This entry was posted in Uncategorized and tagged Advocacy, anxiety, Author, CASA, Child advocacy, Courage, daughter of an alcoholic, Defeat fear, Encouragement, Fear, Help others, hope, inspirational stories, John Wayne, JoyRide: Life Death and Forgiveness, Kathleen Pooler, memoir, overcoming, Pamela Koefoed, pub slush, recovery, Recovery memoir, victory, Writer. Bookmark the permalink.